To view the Graduate Catalog or an archived catalog (previous years), use the drop-down menu above. For archived catalogs prior to the 2017-2018 Academic Year navigate here. To navigate into the Catalog, click on the appropriate tab on the left. From there you will be able to navigate into more detail. If you are unsure what you are looking for use the Catalog Search above. The search will filter results by category. The four categories are: Courses, Programs, Hierarchy Items, and Other Content. The Courses and Programs category include all active courses and academic programs for this academic year. The Hierarchy Items are all college and departmental pages. 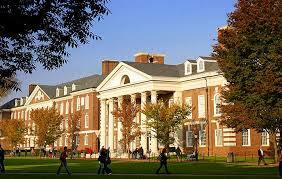 Other Content comprises the information related to University of Delaware Admissions, Financial Aid, Student Life, Academic Policy and Regulations, opportunities for enrichment, and other University-wide programs, initiatives, and information. It is important to remember that the Undergraduate and Graduate content are located in distinct catalogs. That means that you will not be able to search for or find Graduate Catalog information in this Catalog, please select the 2016-2017 Graduate Catalog in the top drop-down menu to see Graduate-level policies, programs, and information. The Catalog is designed to best serve everyone affiliated with the University of Delaware. If there are any suggestions to improve content, discrepancies in information presented, or questions finding anything please contact udcatalog@udel.edu. Policies and program requirements contained in the Undergraduate Catalog supersede any similar information which may be contained in any of the websites of any of the colleges or departments. The University of Delaware has made every effort to assure the accuracy of the information in the Catalog, students and others who use the Catalog should note that the policies, rules, regulations, requirements for graduation, course offerings, and other materials reproduced in the Catalog change from time-to-time and that these changes may alter the information contained in this Catalog. The Catalog also contains hyperlinks to other resources at the University of Delaware; these are provided as a convenience to the reader and is not part of the Catalog itself. Failure to read this Catalog does not excuse the student from the requirements and regulations discussed herein. See the Catalog Legal Statement for more information. All catalogs © 2019 University of Delaware. Powered by the Acalog™ Academic Catalog Management System™ (ACMS™).